Dessert recipe for Honey Vanilla Ice Cream. 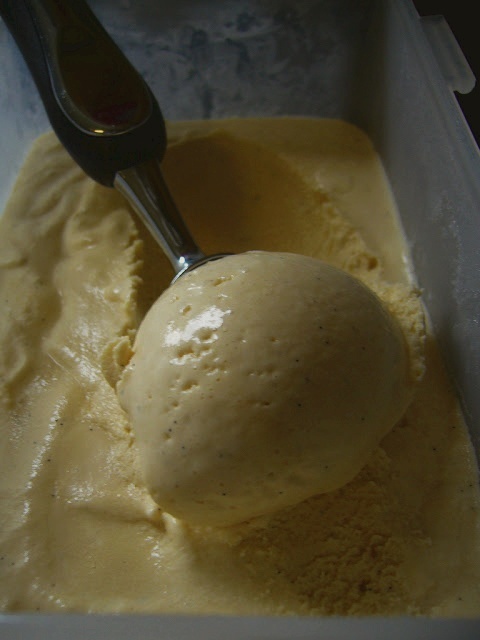 Homemade ice cream – honey/oatmeal flavor. Prepare a 2 qt batch of the Old Time Vanilla mix and then add 1 cup of honey. Mix thoroughly and set in the refrigerator to age the mix. While the mix is aging, take 1/2 cup oatmeal and boil for about fifteen minutes in 1 ½ cups of water. Strain the water through a fine strainer and save the water. The cooked oatmeal can be eaten or discarded. Add the water to the ice cream mix and let it chill in the refrigerator for three hours. Freeze in an ice cream freezer according to the manufacturer’s directions.